The Noel O’Connell Lecture in association with the ILS is held in London each year in the Spring at the ILS – in 2018 we will be welcoming the playwright, publisher and Irish language translator Micheál Ó Conghaile to talk on his translations of the work of the London-Irish playwright Martin McDonagh and on the Irish language literary scene today. More details on our event page. The Breandán Ó Buachalla Lecture held in the National Library of Ireland every year in March. The Society has embarked upon a programme to publish these talks under its Occasional Lecture Series. A seminar takes place each year in early November, jointly organised by the Irish Texts Society and the combined Departments of Irish, UCC. The proceedings of ITS / UCC seminars are published in the Irish Texts Society’s Subsidiary Series. The Main Series consists of editions and translations of Old, Middle and Early Modern Irish texts. The Subsidiary Series presents the proceedings of seminars held annually in University College Cork dedicated to analysis of texts published in the Main Series. 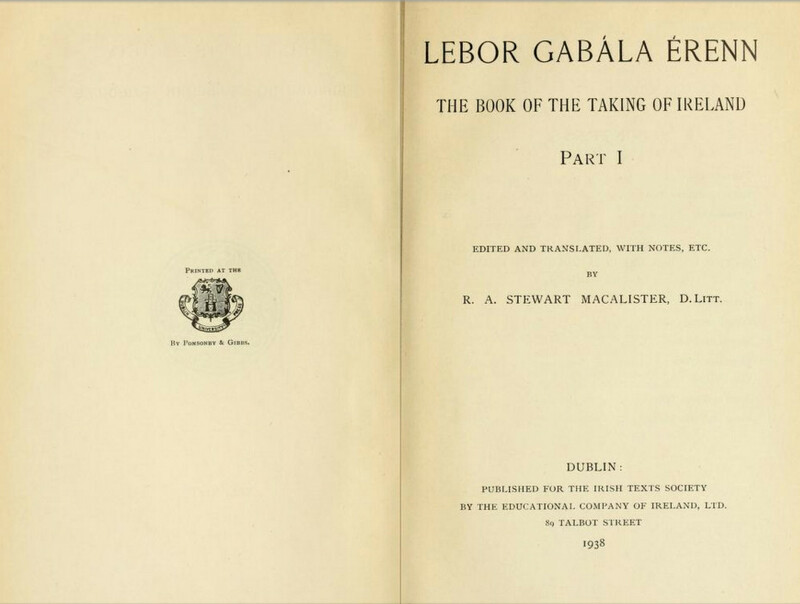 The Society also publishes a number of other works such as Dinneen’s Irish-English Dictionary, new introductions to volumes in the Main Series, the Occasional Lecture Series, and the Historical Dictionary of Gaelic Placenames. Honorary Secretary, ITS, 69a Balfour Street, London SE17 1PL, United Kingdom.